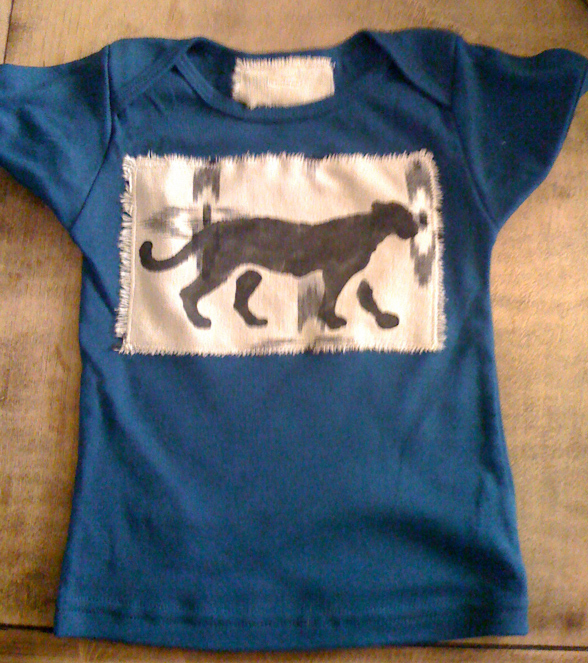 Here’s an organic cotton boy’s tee, with an appliqued kimono fabric with a leopard printed on top I made for a friend that I think I will offer for the holidays. He died today. He was only 56. He did so much.